Caroline was born circa 1837 in Tennessee. Following emancipation, Caroline adopted the name Caroline Blackwell. Caroline appeared in the US federal census of 1 June 1870 in Clinton PO, Dewitt County, Tennessee, enumerated in the household of Sam Crawford (age 26/46?) and Jane Crawford (50). Other members of the household included John Taylor, Susie Blackwell, Alex (? ), William Crawford, Newton Blackwell and Edward Blackwell. Jane Crawford may possibly have been Caroline's mother. All of Caroline's children are identified with the surname Blackwell, and daughter Serilla is enumerated elsewhere in DeWitt County in the household of Granville DeMent. She was a farmer on shares, according to the 1870 census. Caroline appeared in the US federal census of 1 June 1880 in Dewitt County, Texas. Other members of the household included Serilla Blackwell, Newton Blackwell and Edward Blackwell. She was a farmer, according to the 1880 census. William Crawford and Philis (?) appeared in the US federal census of 15 April 1910 in DeWitt County, Texas, at Cuero & Clinton Road. Other members of the household included Caroline. Morgan Jackson and Susie Blackwell appeared in the US federal census of 1 April 1930 in Gonzales County, Texas, at Highway 29. Other members of the household included Caroline. Mother-in-law Caroline Blackwell's age is recorded as 105 years. Caroline died on 20 January 1931 in Gonzales, Gonzales County, Texas, . Hier death was officially witnessed by Susie Blackwell. She was interred at Dement (later Mount Enon) Cemetery, Cheapside, Gonzales County, Texas. Research Note: Although in the 1880 census Rilla Blackwell is enumerated in DeWitt County in the household of Caroline Blackwell with Newton and Edward Blackwell, according to information found on the death certificate of her son Amos Davis, her name before marriage was Serilla Crawford. In 1870, Caroline Blackwell is enumerated in DeWitt County in the household of Jane Crawford (age 50) with six children, but daughter Serilla is found elsewhere in DeWitt County in the household of Granville and Anna DeMent, as Serilla Blackwell, age 11. 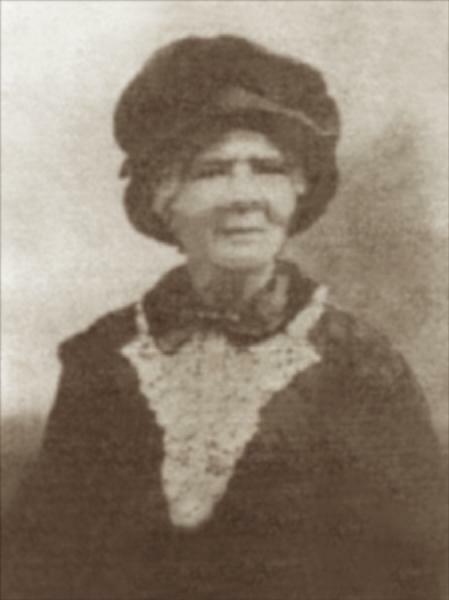 Possibly Jane Crawford was the mother of Caroline Blackwell. She was born in Slavery in Tennessee. Her first known child was John Taylor. She met either Finley Blackwell or his father John in Tennessee, by whom she had 2 children. The Blackwells either carried her or she followed them to Texas. During the Civil War and while Blackwell was away with the Army, Caroline had two children (Crawford and Cartwright). When Blackwell came back from the War, he searched out and found Caroline and resumed their relationship, as a result of which Newton and Ed Blackwell were born. At least one of the white Blackwells was a Doctor (Finley), but it is possible that another one was also a doctor. It is known that Dr. Finley Blackwell (now dead) signed Caroline's death certificate in January 1931. I have a copy of this document. WMS.